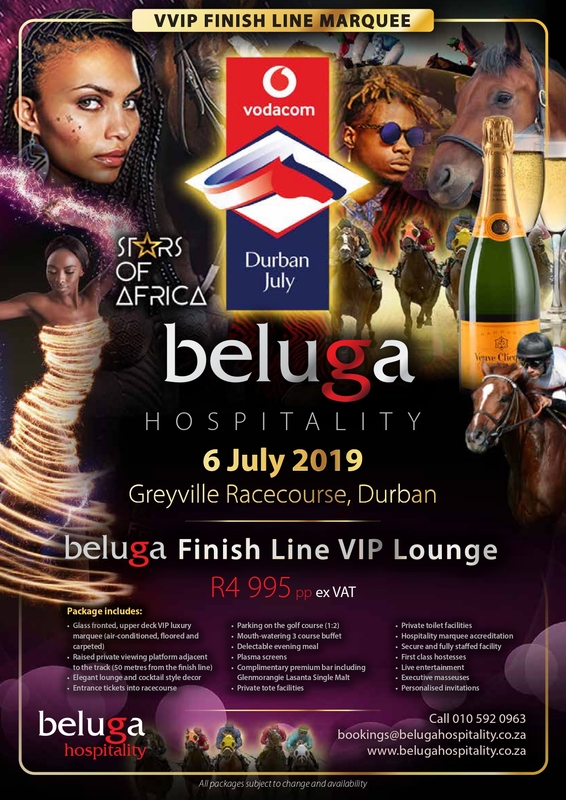 The Vodacom 2019 Durban July is expected to surpass that of any other lifestyle event on the African continent. 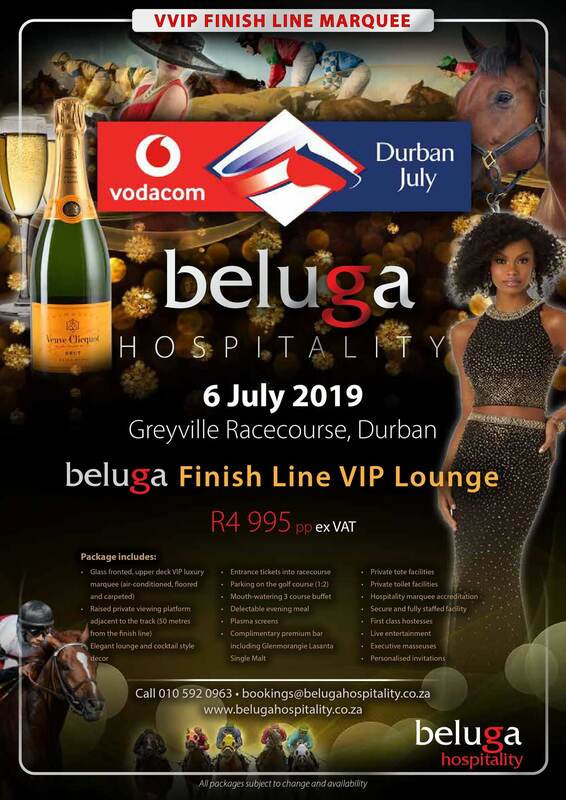 On the 6th of July 2019 we expect nearly 60 000 people head towards Greyville race course to experience the annual Vodacom Durban July 2019. And it’s not all about the horses! 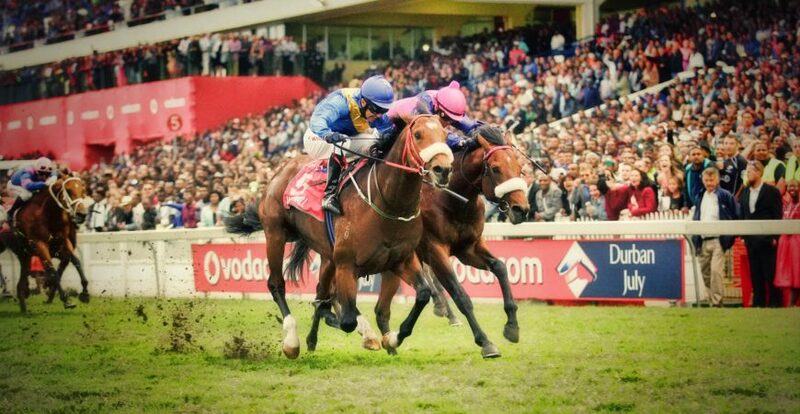 It is a fashion, entertainment and lifestyle extravaganza that no other event can provide. Beluga Hospitality again will be provide VIP Hospitality at our luxury finish-line marquee. 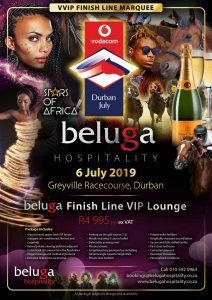 Contact us on 010 592 096 or bookings@belugahospitality.co.za to book your packages for the 2019 Vodacom Durban July. 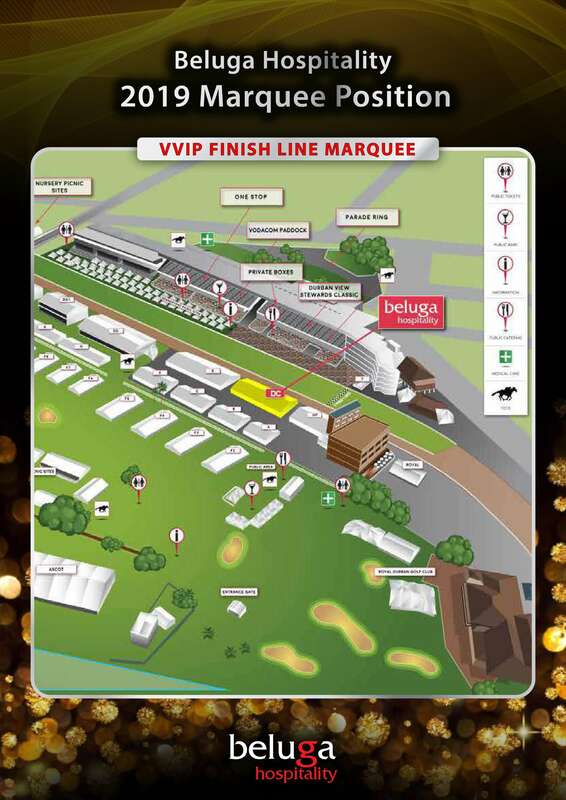 Note limited packages available, book early to avoid disappointment.